KAFF’s recently added built-in hobs have been designed to help build a healthy kitchen by providing right temperature and flame for cooking, while keeping grim and dust away. 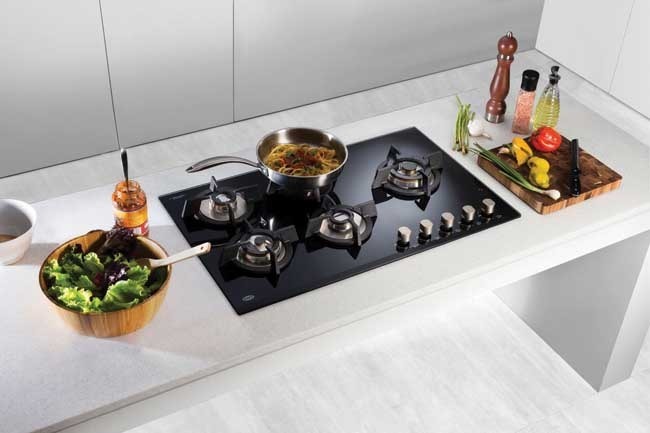 These hobs represent latest design patterns, are easy to clean, and maintain optimum hygiene. The cutting-edge features include triple flame burner, dual flame burner, mini triple flame burner, sturdy cast iron grill with black tempered glass, and auto electric ignition. three-burner, four-burner and five-burner models are offered in this range.